Sunday Stash is a thrill this week! I just found out that a neighbor ( a really nice neighbor) is expecting a baby girl in October. I have in my stash, the newest collection from Sherri McConnell and her lovely daughter Chelsi Stratton. 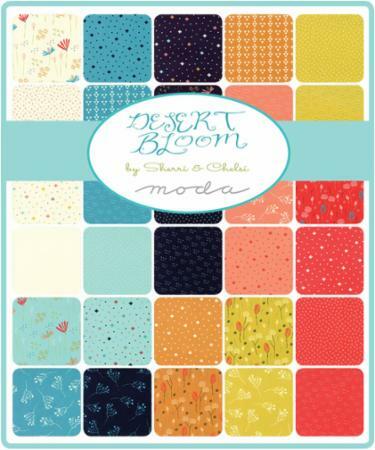 It is named Desert Bloom and is for Moda Fabrics. I was wondering how I would be using these beautiful fabrics and a quilt for a baby girl is perfect! Look at all of the fantastic colors in this line! 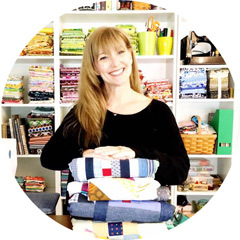 The best thing to do with all of these choices is a scrappy quilt. 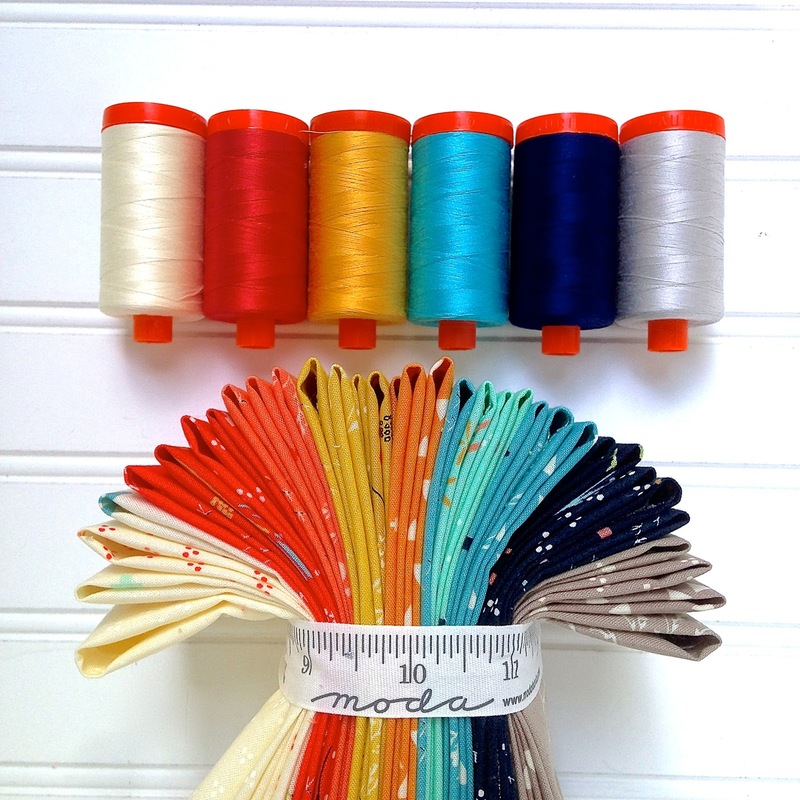 I already chose the perfect Aurifil 50wt threads to figure out which to use with the new quilt. I will be making The Moda Love Quilt pattern! It is the perfect quilt for this collection or really any fabrics. I made one a few weeks ago with Kate Spain's Christmas fabrics. This pattern includes three different sized quilts, is very easy ( great beginner pattern) and available for free. You can find out more about this collection by visiting Moda Fabrics! It is due for release in November 2016!